ZEB & HANIYA performed their hit single CHUP in the fourth episode of COKE STUDIO SEASON 2. 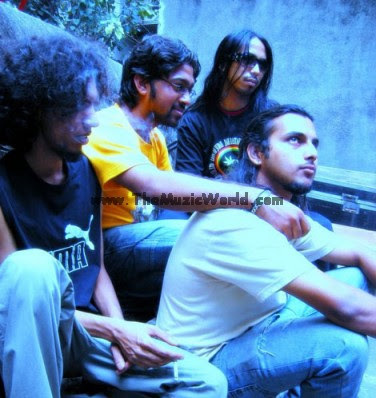 Zeb and Haniya brought to the studio perhaps their most recognisable song, ‘Chup’, after which their debut album is titled. The studio session treatment of this song sees both Haniya and Zeb share vocals to a retro musical feel with Omran Shafique working his way around his fret board to produce what he is best known for, groove. To download the song CHUP, performed by ZEB & HANIYA at COKE STUDIO, 'RIGHT CLICK' and 'SAVE TARGET AS' n the given links below. To listen the audio, click on the blue PLAY button. 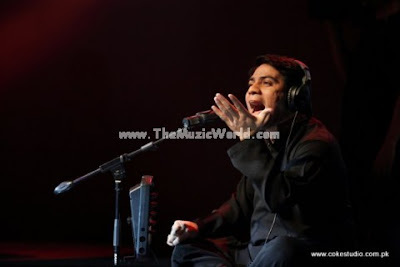 RIAZ ALI KHAN this time performed in the fourth episode of COKE STUDIO SEASON 2. 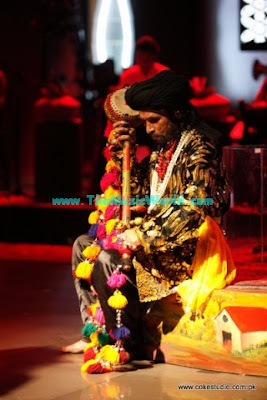 RIAZ ALI KHAN performed one of the most famous song of Baba Bulleh Shah poem, his eponymous ‘Bulleya’. 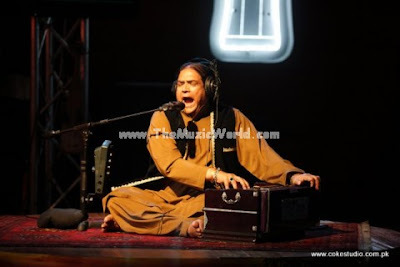 Riaz Ali Khan, who hails from the Sham Chaurasia Gharana, did a great job with the song. As many may be aware, Bulleya has been released in the past by the likes of rock band Junoon and more recently, Rabbi Shergill. In his Coke Studio version of the song, RIAZ ALI KHAN pays tribute to Bulleh Shah by composing his own melody in Raag Bhimpalasi, an evocative afternoon raag. To download the song BULLEYA, performed by RIAZ ALI KHAN at COKE STUDIO, 'RIGHT CLICK' and 'SAVE TARGET AS' n the given links below. To listen the audio, click on the blue PLAY button. In the fourth episode of COKE STUDIO SEASON 2, JOSH and SHAFQAT AMANAT ALI performed together in the song MAHI VE. It was the only collaborative song for ‘Spirit’ , between the classically trained Shafqat Amanat Ali with the bhangra bandmasters Josh in ‘Mahi Ve’. This song reflected a thumping musical celebration with Shafqat adjusting to the fun Josh bhangra style with sophistication through his alaaps and sargams. Mahi Ve also represented an inspirational and motivational poetic prayer with the fusion of three distinct voices of different genres of music throughout the song. And that was the best part of the song MAHI VE. To download the song MAHI VE, performed by JOSH & SHAFQAT AMANAT ALI at COKE STUDIO, 'RIGHT CLICK' and 'SAVE TARGET AS' n the given links below. To listen the audio, click on the blue PLAY button. 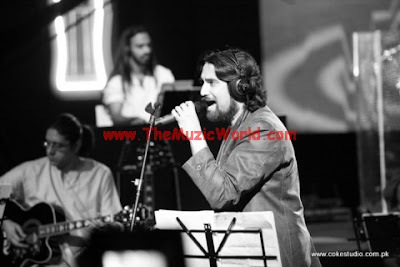 NOORI performed their hit track SAARI RAAT in the fourth episode of COKE STUDIO SEASON 2. This track is one of my personal favorite from their album PPARJKGD. NOORI performed this song with guest musician and cousin Rakae Jamil on the Sitar to reinvent rock ballad Sari Raat, originally from their Peeli Patti album. Indeed this was a most unorthodox setting for the sitar and was in general, a challenging song to play. Ali Noor took the lead on power house vocals and Javed Iqbal stole the show with his staccato rock riff/solo on his violin at the end of this rock number. To download the song SAARI RAAT, performed by NOORI at COKE STUDIO, 'RIGHT CLICK' and 'SAVE TARGET AS' n the given links below. To listen the audio, click on the blue PLAY button. COKE STUDIO SEASON 2 is back with it's fourth episode,SPIRIT . 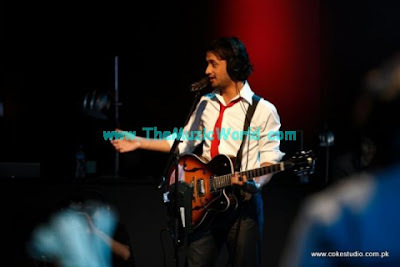 ATIF ASLAM , who performed his own version of BILLIE JEAN, WASTA E PYAR DA, GAL SUN JA and RAB JANE DIL MANGDA in the third episode of COKE STUDIO SEASON 2, performed the classic Punjabi folk Kalam by Shah Hussain, Mai Ni Main in the fourth episode of COKE STUDIO SEASON 2. Mai Ni Main is a resilient song which has been explored in the past by maestros ranging from Hamid Ali Bela to Reshma and now, Atif Aslam. To download the song MAI NI MAIN, performed by ATIF ASLAM at COKE STUDIO, 'RIGHT CLICK' and 'SAVE TARGET AS' n the given links below. To listen the audio, click on the blue PLAY button. DJ XAAD is back with some new tracks after the success of his debut album MIXO-PETHY. DJ XAAD working on few more tracks and I will try to share them as soon as possible , once they are out. Till then, you can enjoy some of his latest work. To download the songs of DJ XAAD, 'RIGHT CLICK' and 'SAVE TARGET AS' n the given links below. To listen the audio, click on the blue PLAY button. THIS IS US is a new album due for release in 2009 by the Backstreet Boys. They are confirmed to be working with Max Martin, OneRepublic singer Ryan Tedder, RedOne, Ne-Yo, Brian Kennedy,Jazze Pha, Pitbull, Claude Kelly, Akon, Lil Wayne, Jim Jonsin, Eddie Galan, T-Pain, Max Martin,Rami Yacoub, Kristian Lundin and many others have confirmed collaborations on the new album. According To KBS Radio, The Backstreet Boys have recorded 25 songs for their new album. On May 1, 2009, the Backstreet Boys management team expressed discontent at fans posting leaked songs. Although it is still unclear as to how the songs were leaked, it has been confirmed by management that the leaks were unintentional. The album musical direction appears to be following a more Pop/R&B Urban sound. Tracks leaked include: “Bigger”, produced by Max Martin, “Masquerade”, produced by Brian Kennedy and “Helpless” produced by Jim Jonsin. In an interview with Extra TV the Backstreet Boys confirmed the title of their seventh album to be “This Is Us”. The Backstreet Boys formally announced the dates for the European and South American Tour for their newest album, “This is Us”. The tour will start on October 30. Brian announced at his twitter page that the new single is called Soldier Down, produced by Red One and will be released at the end of July. He also announced on his twitter page that the new album will be released on October 6th, 2009. Group member, Nick Carter, is posting confirmed songs from the album on his official YouTube account. “Straight Through My Heart (Soldier Down)” is the first single by the Backstreet Boys from their seventh studio album This Is Us which is set to be released on October 6, 2009. The single will hit radio at the end of July, 2009. It was produced by RedOne (a producer who produced Lady GaGa “Just Dance”, NKOTB “Dirty Dancing”, Enrique Iglesias “Takin’ Back My Love”). The single was released on July 23, 2009 on their official website and will hit radio stations on July 27, 2009. The CD/Digital release will follow in late August/early September. Group member, Nick Carter, posted the song on his official YouTube account. The video will be filmed by the end of July, 2009. It has been mentioned that there will be choreography at some point during the video, taking them back to what originally made them famous. SILVER is an ambient rock band formed with the very intention of creating original music.The ethereal melodies and resonant tone combined with haunting and inspired performances make for a heady listening experience. A fun mix of musicians here to burn a mark on the Indian Rock Scene...Highly influenced by progressive rock, Jazz, Blues, n good old Rock,they bring you a sound that is distinctly,...well,...S.I.L.V.E.R..
ATIF ASLAM performed in all episodes of COKE STUDIO SEASON 2 so far. Atif Aslam continued his Coke Studio tribute to the late Nusrat Fateh Ali Khan Saab with his rendition of Wasta e Pyaar Da. However, this song surprised fans and was indeed particularly poignant given the songs’ transition into a Michael Jackson classic. 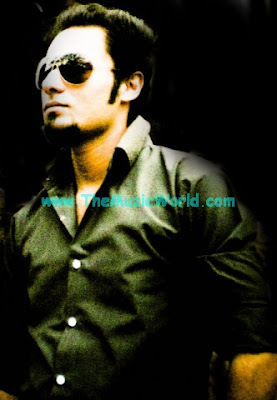 Atif makes a unique and spontaneous transition to a stylised, bluesy rendition of Billie Jean with an almost orchestral violin contribution by Javed Iqbal. In this session, Atif salutes two musical maestros equally through his choice of songs. Atif Aslam paid tribute to Michael Jackson in a unique way. He sings "Billie Jean" as a blue version and mixes it with 3 other songs GAL SUN JA,WASTA PYAAR DA and RAB JANAY DIL MANGDA in 7 minutes.... It was really a brilliant performance by ATIF ASLAM. To download the song WASTA PYAAR DA, performed by ATIF ASLAM at COKE STUDIO, 'RIGHT CLICK' and 'SAVE TARGET AS' n the gicven links below. To listen the audio, click on the blue PLAY button. Ali Zafar performed Yaar Daddi; the famous Siraiki kafi immortalized by Ustaad Muhammad Juman of Sindh. It's a Sindhi folk song and ALI ZAFAR's showed everyone that he is having a versatile voice and talent.Accompanied by Baqir Abbas on the flute and Ali Hamza on the Banjo ( Ali Hamza performed banjo in TOOMBA by SAIEEN ZAHOOR too ), Ali Zafar, surprisingly, took to the harmonium. This timeless classic has been restyled on Coke Studio, with a strong flamenco influence, complete with rapid-strumming guitar passages and rhythmic claps. Although this rendition does feature contemporary and essentially western ingredients it retains the very soul and essence of indigenous folk and brings this gem of our musical inheritance to the forefront once again, to be enjoyed and cherished by yet another generation of music lovers. To download the song YAAR DADDI, performed by ALI ZAFAR at COKE STUDIO, 'RIGHT CLICK' and 'SAVE TARGET AS' n the given links below. To listen the audio, click on the blue PLAY button. 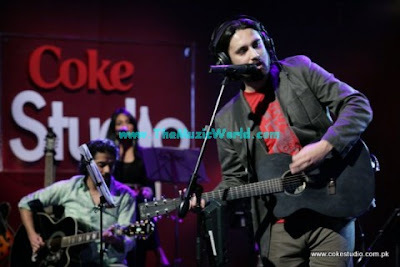 After a great performance of the song AIK ALEEF, NOORI again performed in the third episode of COKE STUDIO SEASON 2. 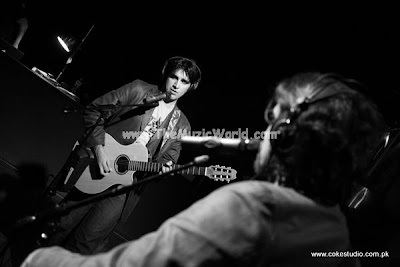 NOORI performed the song JO MERAY. “This is the way Jo Meray was meant to be and this is the way we will perform it from now onwards” is what the Noori brothers say about their song at Coke Studio…Ali Hamza takes the lead once more with Jo Meray, with Ali Noor singing harmony and bringing a rich fullness to the melody, along with backing vocalists Saba Shabbir and Natasha De Sousa. Joining the house band and Noori for this song was the young Rakae Jamil on Sitar bringing in an eastern flavour to an otherwise contemporary and classic Noori rock song. To download the song JO MERAY, performed by NOORI at COKE STUDIO, 'RIGHT CLICK' and 'SAVE TARGET AS' n the gicven links below. To listen the audio, click on the blue PLAY button. 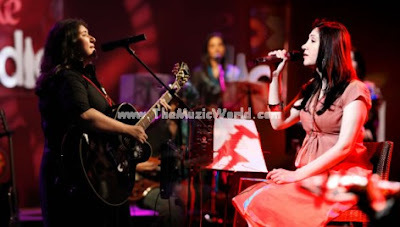 The headline act for third episode of COKE STUDIO 2 was the collaboration between Zeb, Haniya and Javed Bashir for ‘Chal Diye’ as all of them belongs to different genres of music. The song was written by Haniya as an 'ode to her hometown, Islamabad' and features on the ZEB & HANIYA's debut album, Chup. While Zeb was vocally superb in this duet with the incredibly talented Javed Bashir, Haniya’s impressive talent as a guitarist subtly came into clearer focus. Interestingly, both Zeb and Javed Bashir, more fondly known as JB, shared the same Ustaad, Mubarik Ali Khan. To download the song CHAL DIYAY, performed by ZEB, HANIYA & JAVED BASHEER at COKE STUDIO, 'RIGHT CLICK' and 'SAVE TARGET AS' n the gicven links below. To listen the audio, click on the blue PLAY button. Third episode of COKE STUDIO was full of artists from the previous episodes. ATIF ASLAM, ALI ZAFAR, JOSH, ZEB & HANIYA, JAVED BASHEER, NOORI performed again in the third episode of COKE STUDIO SEASON 2. I am going to post all audio, videos of these performance in a series of posts and gonna start from JOSH now. To download the song BARI BARSI, performed by JOSH at COKE STUDIO, 'RIGHT CLICK' and 'SAVE TARGET AS' n the gicven links below. To listen the audio, click on the blue PLAY button. 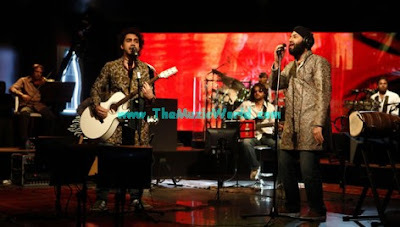 SAEEIN ZAHOOR performed again in the second episode of COKE STUDIO SEASON 2. Saeein Zahoor's "Toomba" was composed and written by Saieen himself. "This song speaks of Hazrat Amir Khusrau, Baba Farid Ganj Baksh, Baba Bulleh Shah and other great Sufi poets and saints and is a tribute to their dedication and belief to spreading the correct faith and the right path" says Saeein Zahoor. While the instrumentation on Toomba is eclectic it retains the true essence of folk and remains spiritual and uplifting. Ali Hamza of Noori, who discovered at the Studio that the banjo is truly the instrument of his heart, elected to join the house band as a guest musician on Toomba. To download the song TOOMBA, performed by SAEEIN ZAHOOR at COKE STUDIO, 'RIGHT CLICK' and 'SAVE TARGET AS' n the gicven links below. To listen the audio, click on the blue PLAY button. 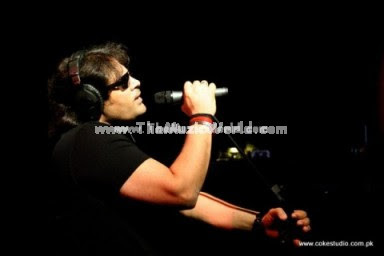 Shafqat Amanat Ali again performed in the second episode of COKE STUDIO season 2. SHAFQAT AMANAT ALI presented his extremely popular 'Aankhoy Kay Sagar', reinvented by time with the young and talented classical artist Gul Mohammad, whose forte lies in his mastery of the sub continental lute, the Sarangi. On the subject of collaborating, Shafqat mentions "You push limitation of style and genres. Collaborating, you cook new tastes in music, defining and redefining identity." To download the song AANKHON KAY SAGAR, performed by SHAFQAT AMANAT ALI at COKE STUDIO, 'RIGHT CLICK' and 'SAVE TARGET AS' n the gicven links below. To listen the audio, click on the blue PLAY button. The second session of COKE STUDIO also welcomed JOSH to the platform with the Coke Studio house band in their soulful melody 'Jaaney Do'. In a sense, JOSH itself represents the quintessence of 'Harmony' with both Q and Rup representing two distinct cultures: they both draw upon the best of their backgrounds to make music that is indeed in accord with itself. To download the song JAANEY DO, performed by JOSH at COKE STUDIO, 'RIGHT CLICK' and 'SAVE TARGET AS' n the gicven links below. To listen the audio, click on the blue PLAY button. 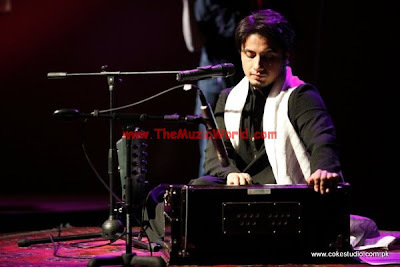 ALI ZAFAR is the only singer who performed in both 1st and 2nd season of the COKE STUDIO. In the second episode of COKE STUDIO, ALI ZAFAR performed the song DASTAAN-E-ISHQ, which is inspired by Saeein Zahoor's classic Nachna Painda Hai, and although composed by Ali Zafar in collaboration with Baqir Abbas, is solidly rooted in traditional folk music. 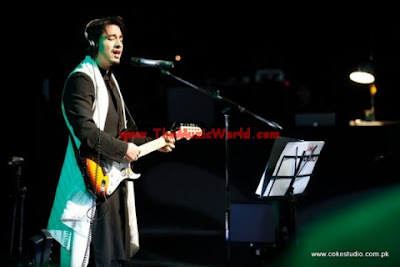 This performance by Ali Zafar is a musical and lyrical tribute to the diverse appeal and versatility of classic folk tunes and the great sufi poets of this region. Sharing his thoughts on guest musician Baqir Abbas, Ali Zafar says, "Baqir Abbas has always been a great support and a magical flute player. His participation brought much more than I had expected. If my set is appreciated and taken well by the audience I think I should be last person to give credit to." 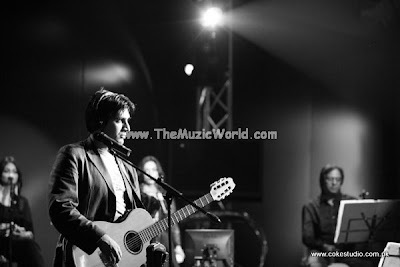 To download the song DASTAAN, performed by ALI ZAFAR at COKE STUDIO, 'RIGHT CLICK' and 'SAVE TARGET AS' n the given links below. To listen the audio, click on the blue PLAY button. Lats time , I posted the audios and videos of the first episode of the second session of COKE STUDIO. And this time , I am sharing the performance of some of the biggest artist of the Pakistani music industry at COKE STUDIO. Like last time , I will share the performance of each artist in individual post. And I am going to start from ATIF ASLAM and RIAZ ALI KHAN's performance of the song KINARA by ATIF ASLAM at COKE STUDIO. To download the song KINARA, performed by ATIF ASLAM and RIAZ ALI KHAN at COKE STUDIO, 'RIGHT CLICK' and 'SAVE TARGET AS' n the gicven links below. To listen the audio, click on the blue PLAY button.